Welcome to the hallucinations sober coach. We know facing issues including hallucinations is a very scary issue for families. When someone has addiction issues along with hallucinations it is even tougher. This website helps create knowledge and lessons for families and individuals who are dealing with these complex issues. Our site was started by a young man who lives with mental illness. He is also a noted mental health expert, author and has done talks about these topics at many organizations. He created this site to teach and provide information for others who are experiencing these difficult issues. Our site also offers a library of over 400 educational videos teaching about these topics. We also provide some of the best treatment centers that work to help these issues along with schools, therapist, doctors and other tools for those with these issues. If you look on the right of this page you will find the many resources that are here to help those with these problems. One of the great issues with hallucinations and addiction is trying to understand what to do. There is also a fear that your loved one won’t make it. We know that there are many examples of those with hallucinations and addiction who grow and rebuild their lives. Our founder faced horrible delusions and paranoia. He would go on to lead a full life and has helped many others with these issues. He is a happily married father who has two beautiful children. We believe that others can eventually do the same. We welcome you to learn about our website. 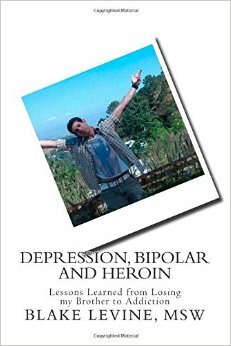 Each day on our main page at http://www.bipolaronline.com we have articles to teach about these topics. It is a great idea to come back often and read these uplifting educational resources. You may also enjoy learning about the other resources on our right and also on the top of this site. We appreciate you coming to our website and hope you will benefit from the information we share.